Credit unions have added 13 million new members in the last five years. In 2011, after the financial crisis, about 600,000 Americans switched from big banks to credit unions or community banks on “Bank Transfer Day.” Some doubted the credit union growth would last – but they were wrong. Consumers are drawn by the fact that credit unions boost the local economy and are locally owned and run organizations, according to Della Costa. The article also cites the lower fees, better returns, typically free checking accounts, not-for-profit model and the advantages to being a member and therefore an owner of the cooperative. Total assets held in federally insured credit unions totaled more than $1.2 trillion by this spring and deposits totaled nearly $1.1 trillion. Loans grew in every major category year over year, including auto loans and real estate loans. As we are well aware of here at BECU (and deeply appreciative of), the Puget Sound region knows the advantages of credit unions. 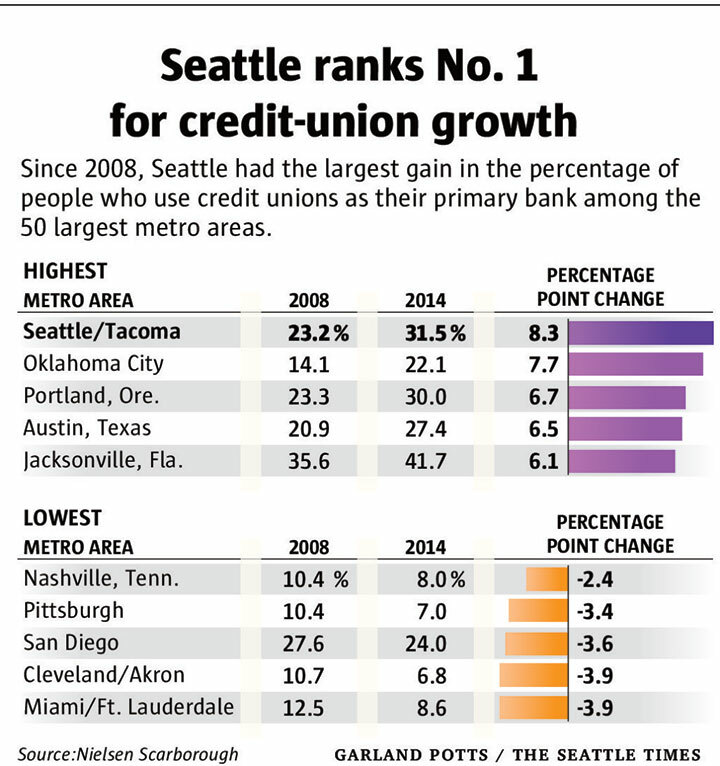 In fact, Seattle / Tacoma ranks first nationwide for conversion to credit unions. Washington has 60 state-chartered credit unions. BECU is the largest, with nearly a million members and over $15 billion in assets.